Prices have gone up along with quality. “It’s absolutely amazing how it’s evolved,” says Michael Bernstein, owner of The Cask in Los Angeles, which stocks and sells exclusively kosher wines and spirits. 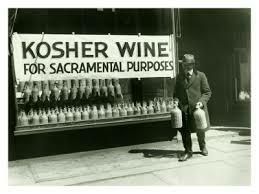 The syrupy kosher wines of the past stemmed mainly from economics. Jewish immigrants to America needed wine, a crucial part of their religious traditions, but didn’t have access to high-quality grapes. So they used the Concord grapes that grow in the Northeast, producing wines with an unpleasant character, usually describe as “foxy,” which was masked by adding sugar.